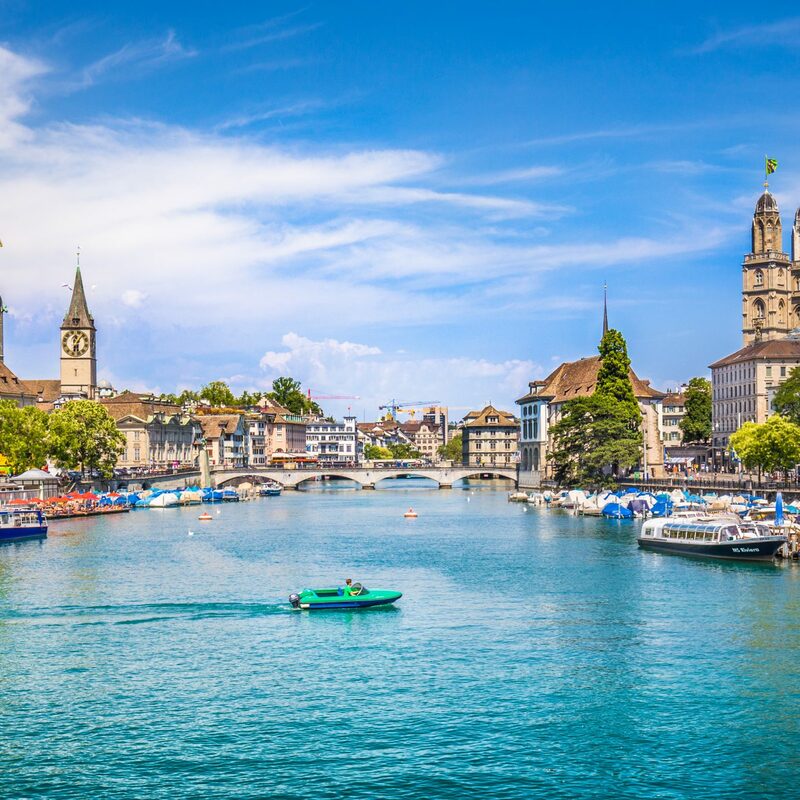 Switzerland's largest city may always be a banking powerhouse, but behind that stolid reputation, you'll also find a vibrant, creative culture with an eye towards experimentation and modernity—best seen in the clutch of design-forward boutiques that have blossomed among the city's storied grand dames. 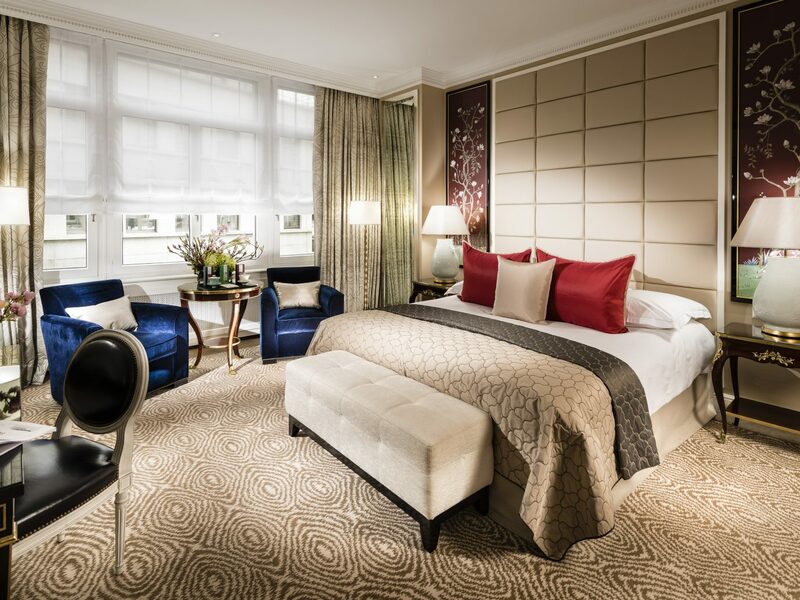 Here, six new and classic sleeps for every type of traveler. 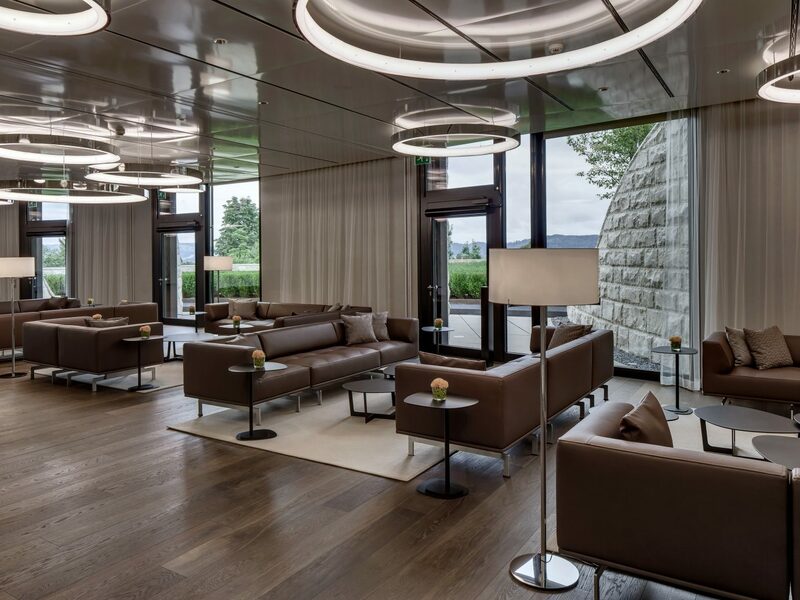 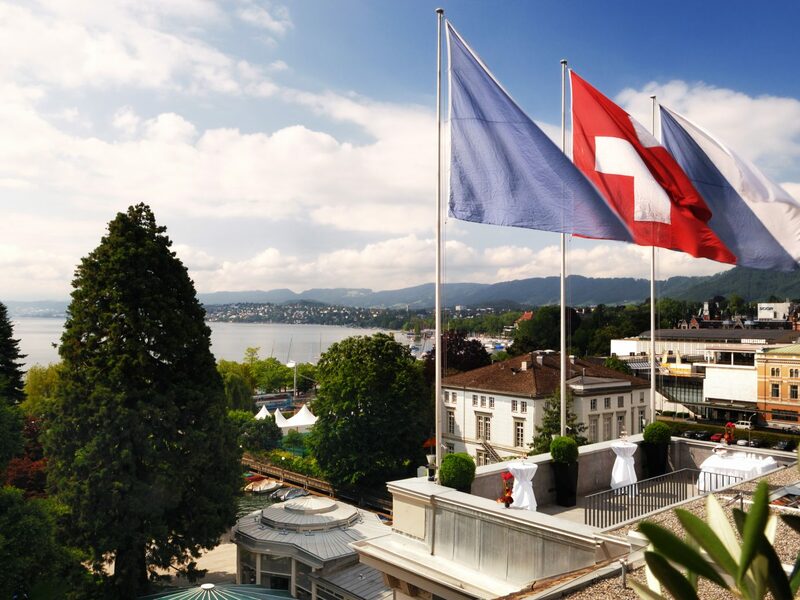 "Impressive" is an understatement at family-owned Baur au Lac hotel overlooking Lake Zurich, the grandest place to sleep in the city since its opening in 1844. 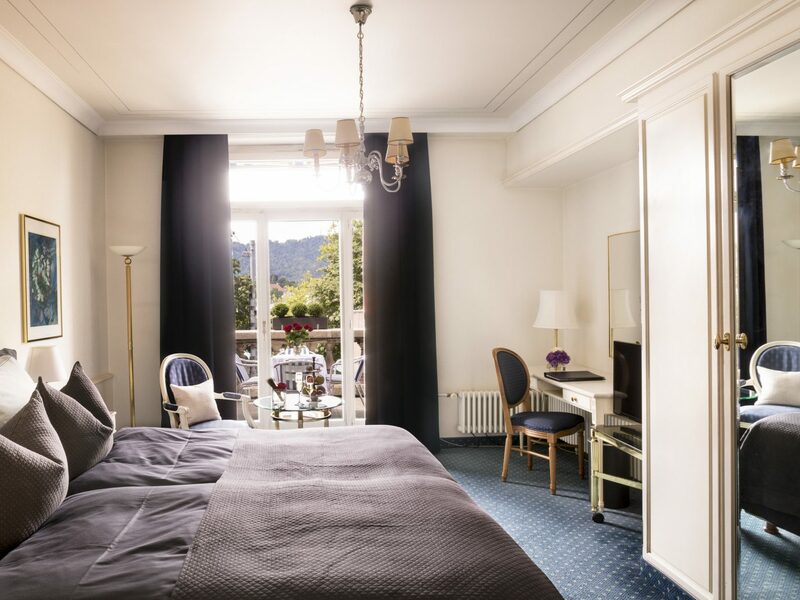 The hotel's client roster reads like a royal wedding invitation list—celebrities, big-ticket bankers, kings, queens, composers, and local elite—and, despite its romantic classical façade and old-world interiors (picture hanging tapestries, oil paintings, oversized photographs, and décor that mixes Art Deco with Louis XVI styles), Baur au Lac is still considered one of the “it” places to stay and be seen, whether that’s over cocktails and Mediterranean tapas at contemporary restaurant and bar Rive Gauche or chef Laurent Eperon’s Michelin-starred haute cuisine at the glassed-in Pavillon. 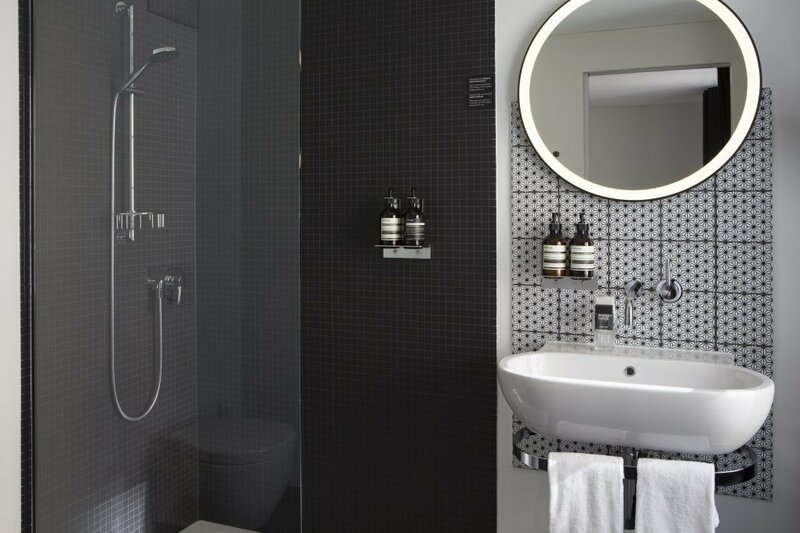 Still have some cash to spare? 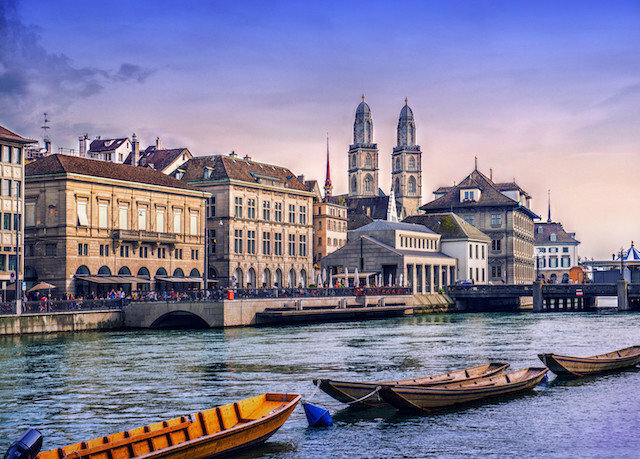 The Bahnhofstrasse, Zurich’s Fifth Avenue, is at your doorstep. 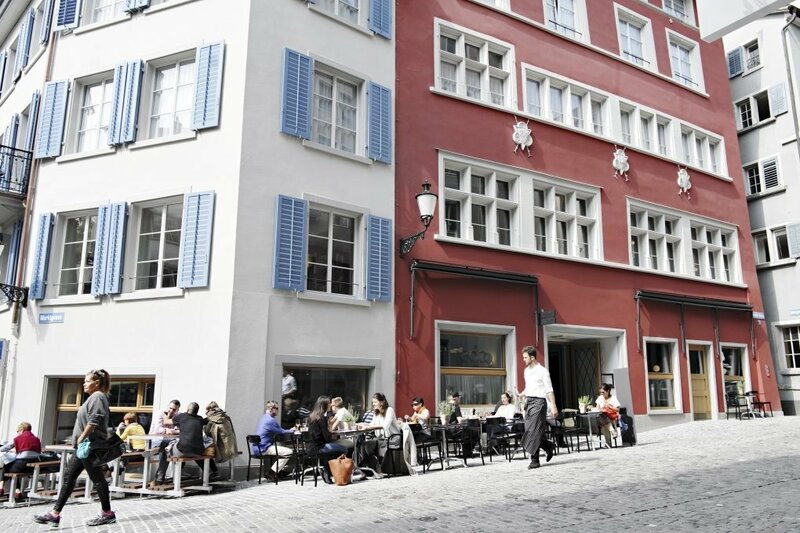 The 39-room Marktgasse Hotel occupies two townhouses built during the 15th century, making it one of Zurich’s oldest inns—but you have to look closely to see it. 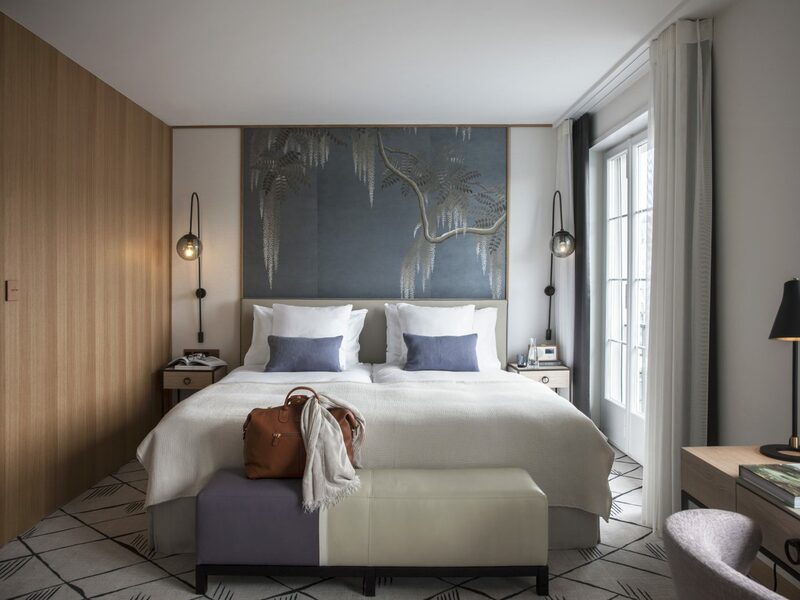 A 2015 revamp has Instagrammified interiors: guest rooms are minimal and monochrome with all-white walls and linens, rain showers, backlit mirrors, and sloping parquet floors that hint at the building’s age; the buzzy restaurant Baltho Küche features an open kitchen and eclectic menu that changes on the regular (you might spot caramelized octopus or spicy bang-bang chicken on the menu); and there’s even a New York-style deli handing out pulled-pork sandwiches, smoked salmon, and house-made granola. 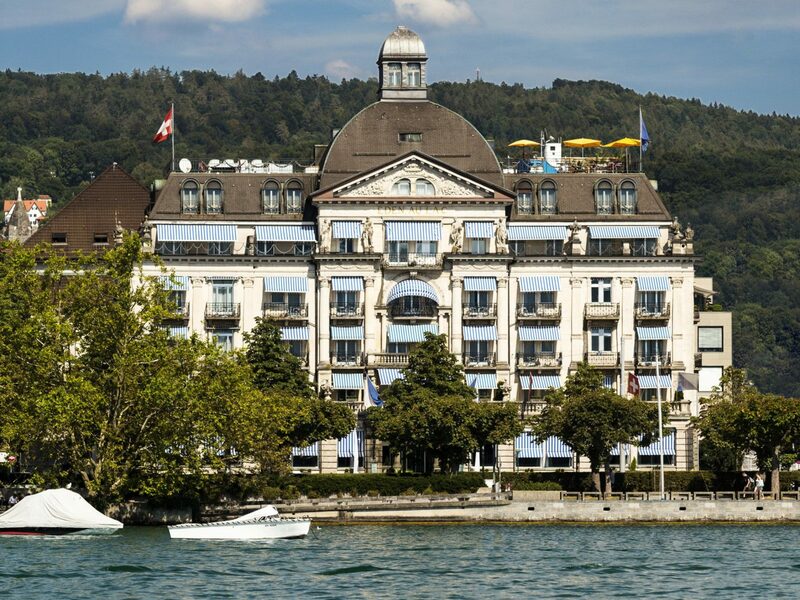 Another landmark on the shores of Lake Zurich, this 1909 Belle Époque grand dame oozes romance. 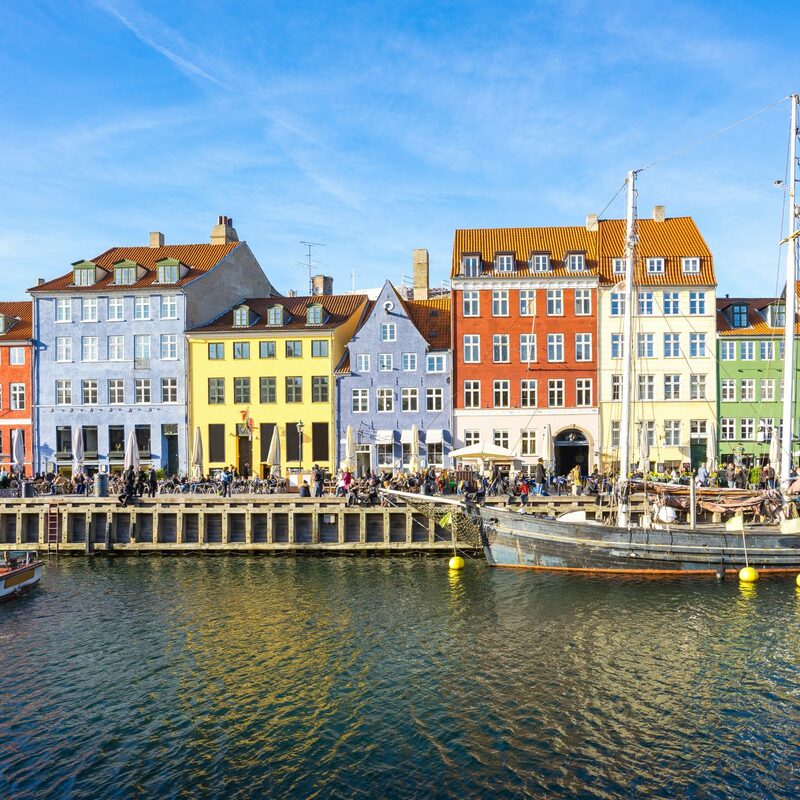 It starts with the exterior, an ornate neo-Baroque façade punctuated by blue-and-white striped awnings that shade its many iron-wrought balconies. 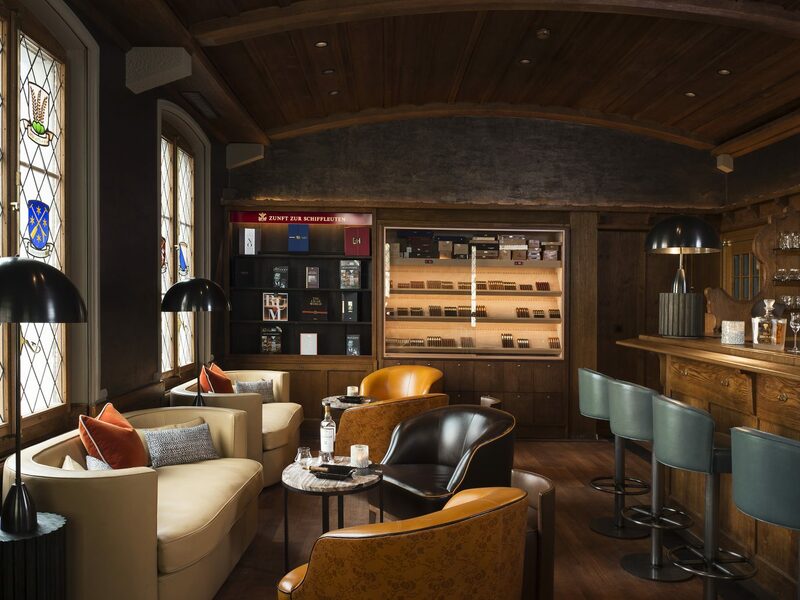 Inside, guest rooms are just as palatial, done up with antiques, canopied beds, and (in some) open fireplaces, but it's the public spaces we love hanging out in most. 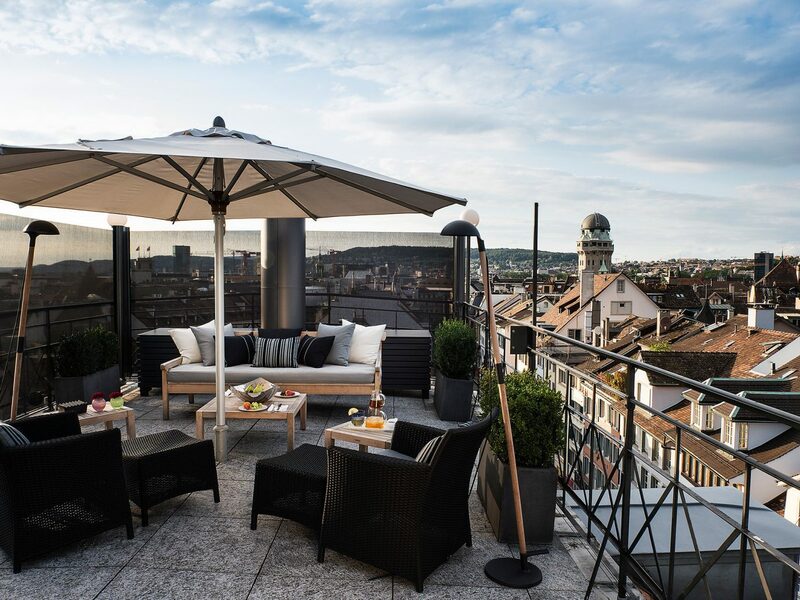 Don't miss a meal in the Art Nouveau restaurant, famous for its hot hors d’oeuvres, or the rooftop sauna, which attracts well-heeled clientele in every season but is perhaps best experienced during the winter, when guests can enjoy wintery city views with blankets and fondue. 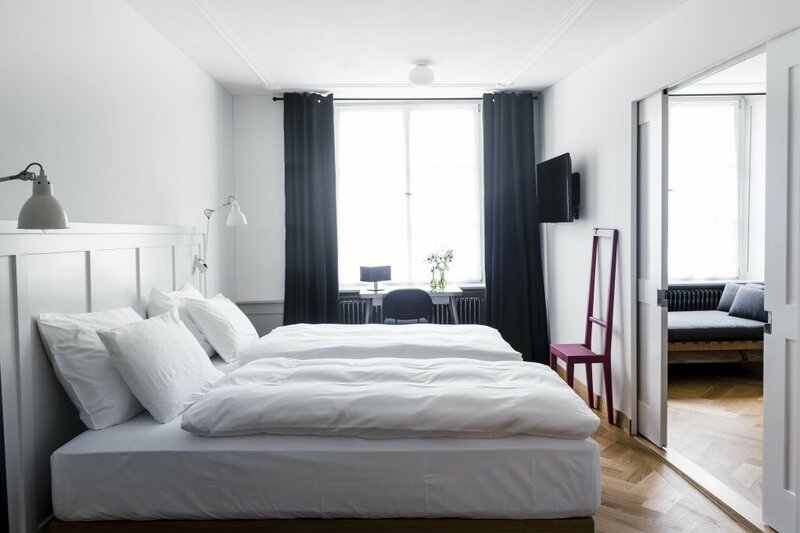 There’s nothing standard about the Widder Hotel, a luxurious, eclectic sleep smack in the middle of Old Town. 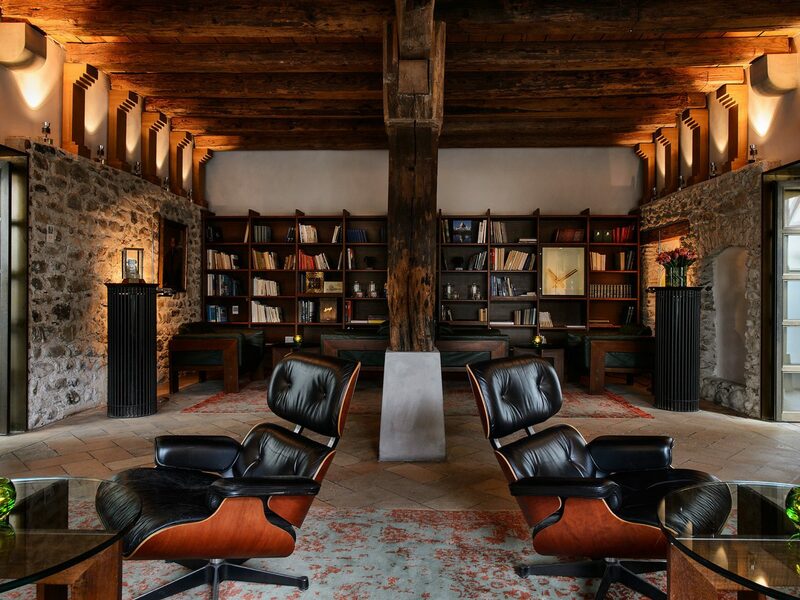 Eight adjoining medieval houses were combined and reimagined, and, while original stone walls, frescoes, and ceilings from the former Augustinian monastery that once stood here remain, everything else has been redecorated with a designer’s eye. 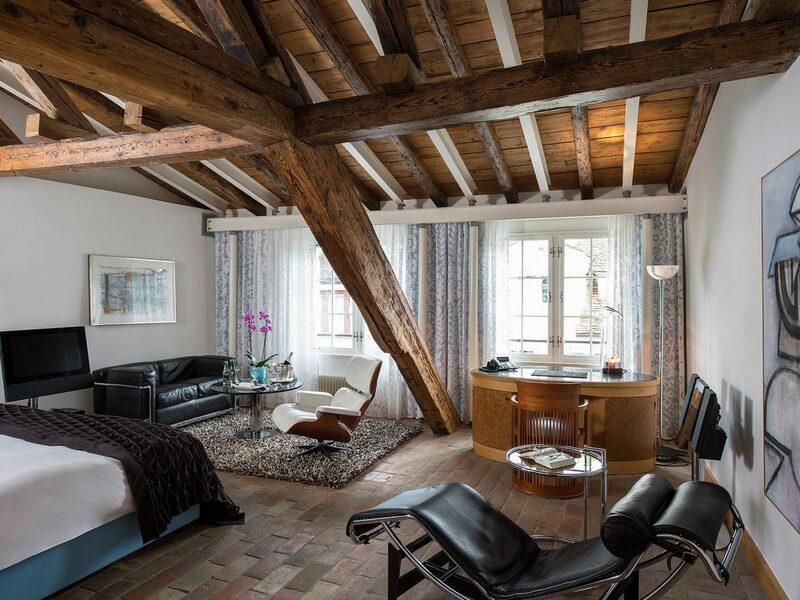 In one room, you might find original wood beams and a Le Corbusier sofa; in another, stone floors and restored frescoes next to leather bedspreads and bell-jar lights. 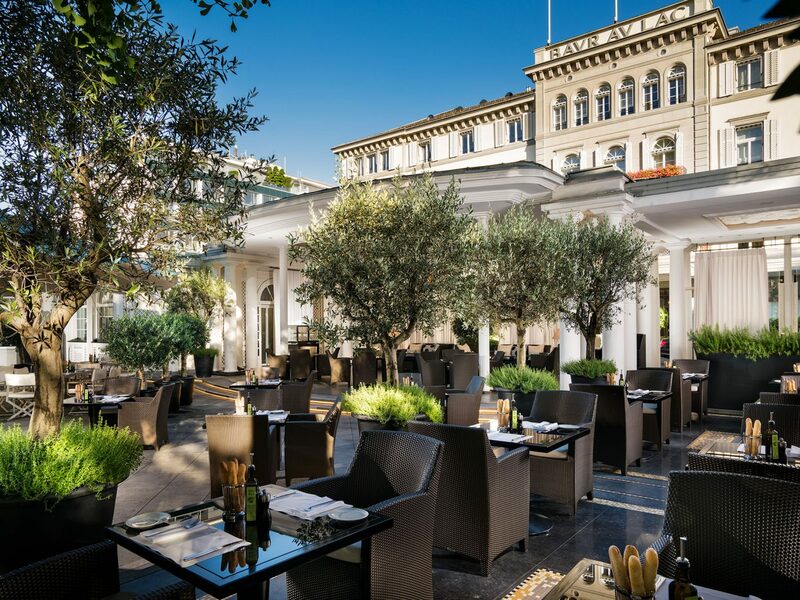 Not to be outdone, two restaurants serve fine-dining or traditional Swiss cuisine (respectively) and the bar is one of the best cocktail and jazz joints in town. 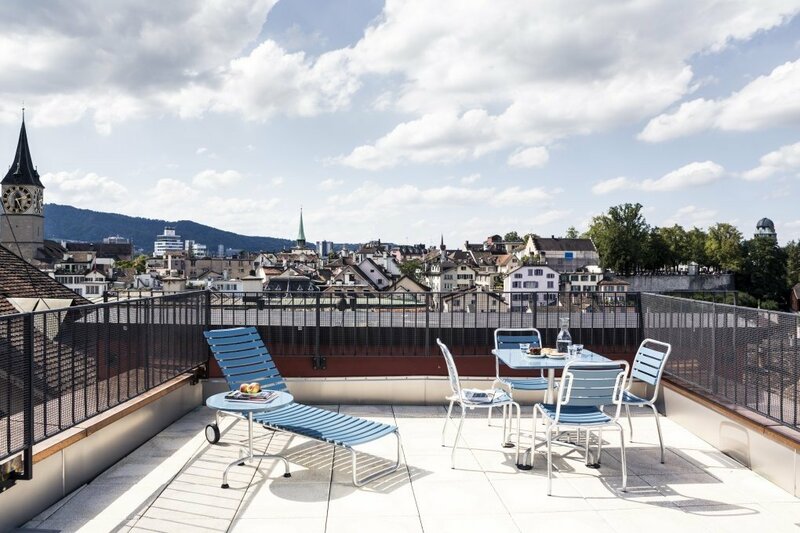 JS Tip: While every room has a view of the central courtyard or adjacent streets, the four suites with private roof terraces are the ones to book. 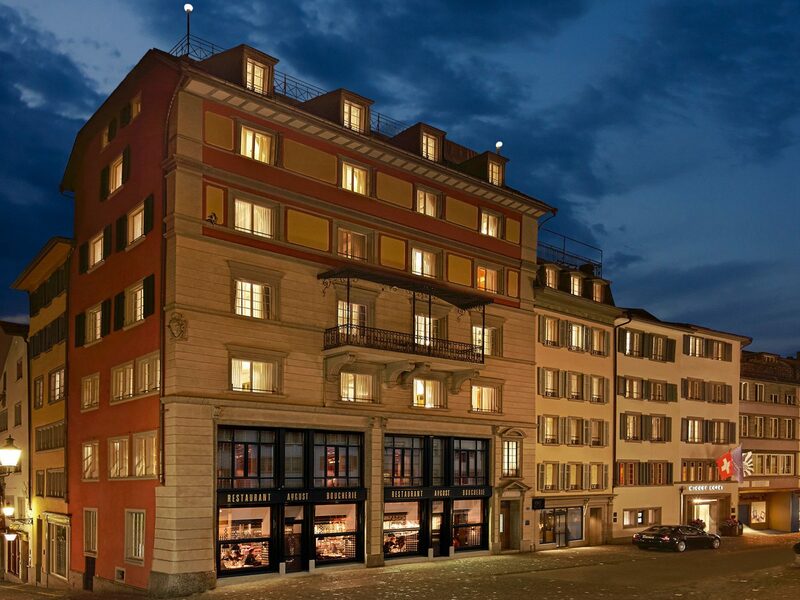 Don’t be deterred by The Dolder Grand’s location outside central Zurich. 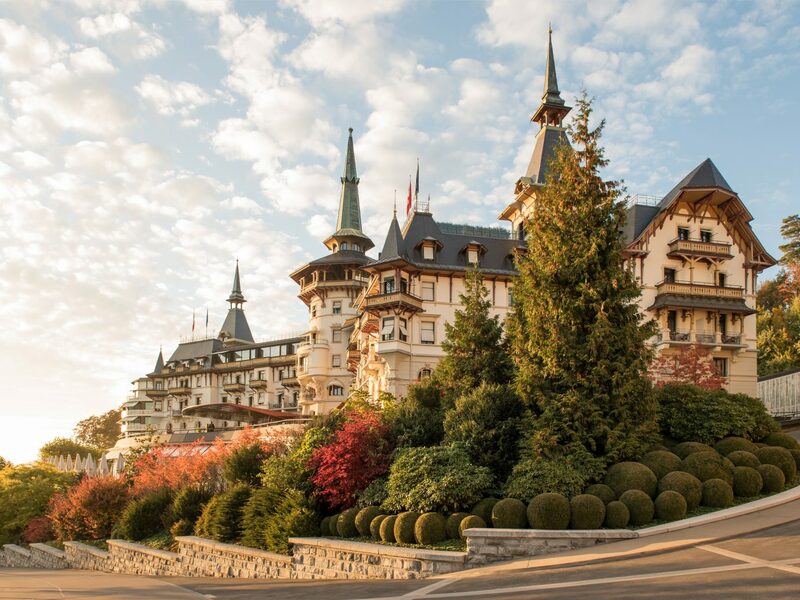 This Victorian-era chateau’s hilltop perch affords it sweeping views of the city, the lake, and the distant Alps—a trifecta most other hotels in this city can’t brag about. 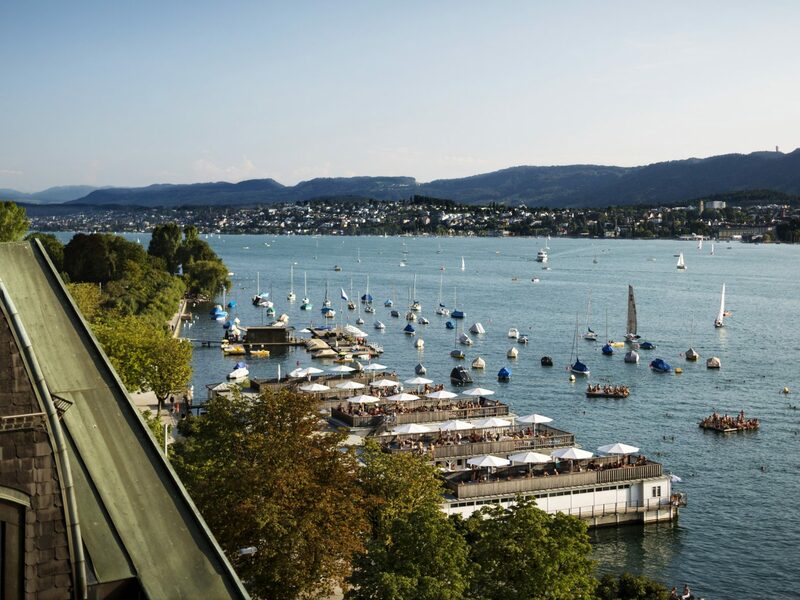 Views aside, Dolder is her own kind of looker. 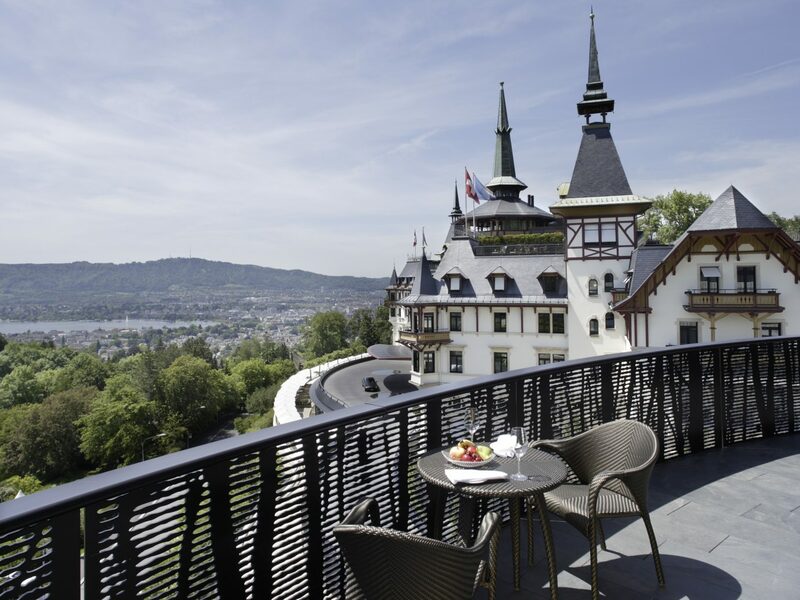 On the outside, romantic turrets and timbered balconies seem plucked from a fairytale; inside, you’ll find artworks by Dalí and Warhol, a massive 43,000-square-foot spa, a Michelin-starred restaurant, and an elegant redesign by British architect Norman Foster that made rooms soothingly minimal but never boring, with floor-to-ceiling windows and bathrobe warmers. 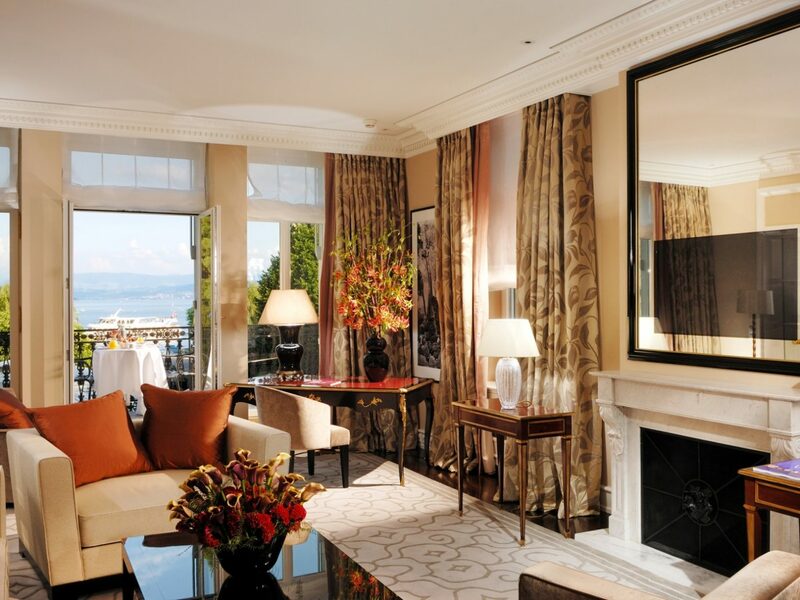 (The signature suites are also some of the most impressive in Europe.) 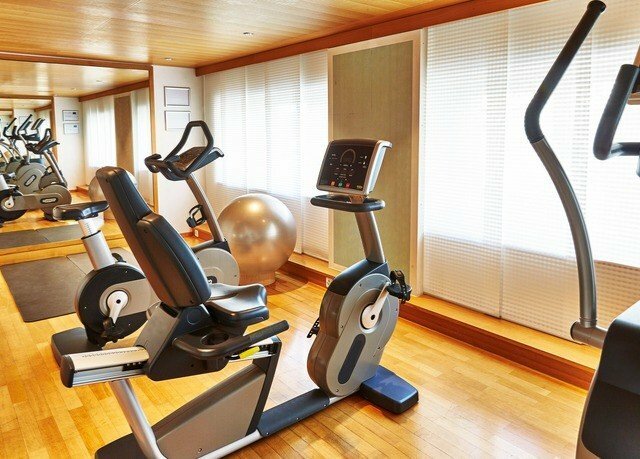 Time your visit for however you want to pass the time—on the golf course, perhaps, or gliding around the property’s ice rink. 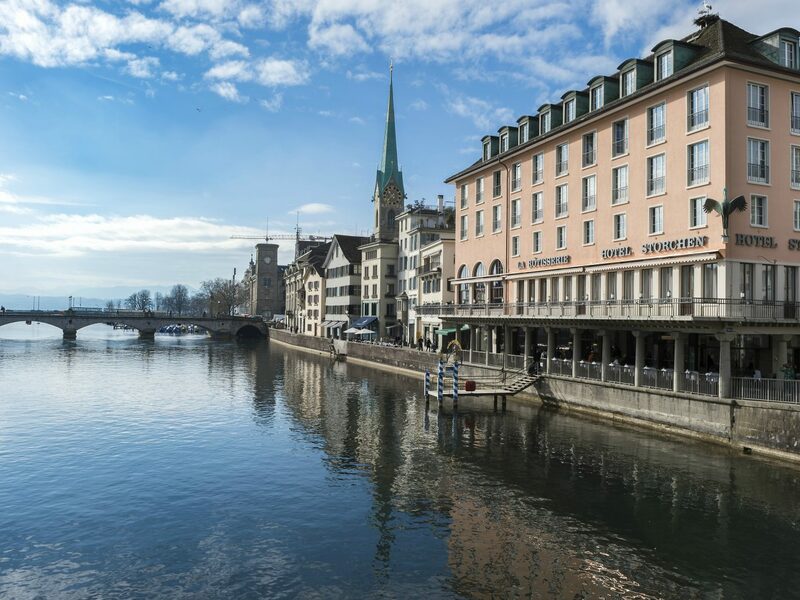 Despite its otherwise unassuming exterior, Storchen Zürich is one of the city’s most stylish sleeps—and the only one in central Zurich located along the River Limmat. 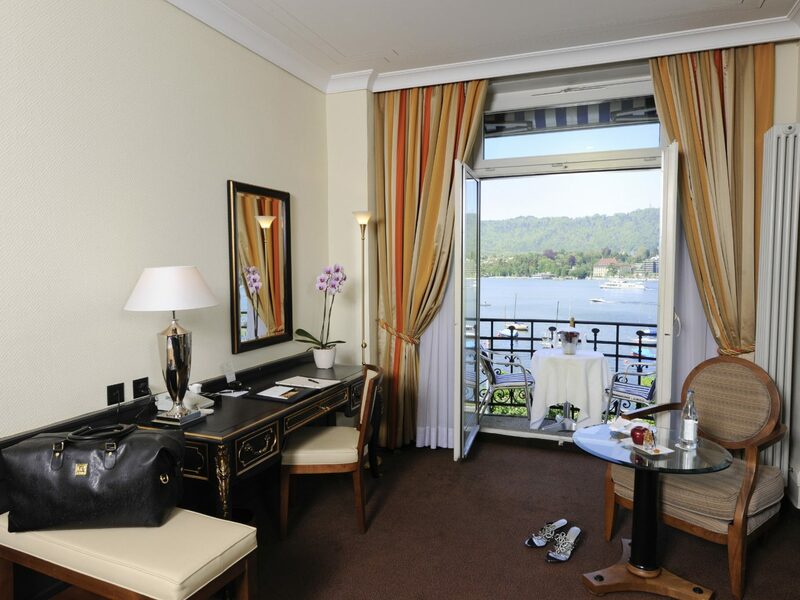 Just 66 rooms, although small, make a statement with their cushy beds, velvet teal armchairs, brass fixtures, and pillow menus; some overlook the river or St. Peter’s Church. 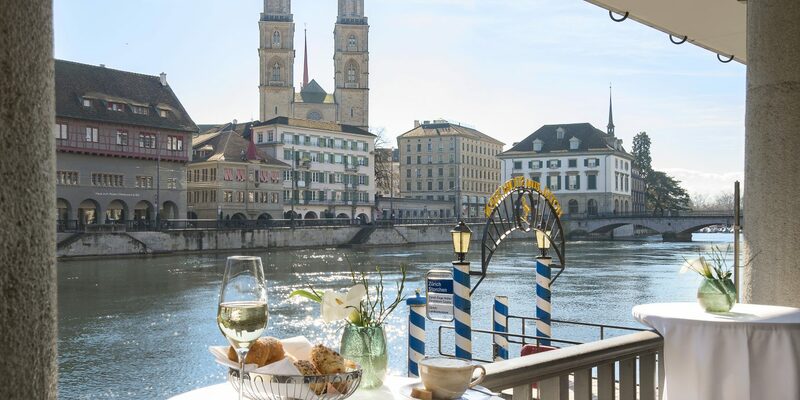 La Rotisserie, which faces the river, serves a lovely (if traditional) breakfast, but you’ll find most of the hotel's social crowd at Barchetta, the buzzy waterside café-bar beloved equally for its sophisticated cocktails, cigar lounge, and live jazz.